Rumoured to be Nokia 9, the smartphone features 5 camera sensors at the rear with Zeiss lens. It’s not yet known as to how the smartphone will utilise five camera sensors or what special tricks does it hide. HMD Global’s Nokia has been bringing a slew of well-built Android One smartphones to the market in the recent times. However, the brand hasn’t quite made a mark in the flagship smartphone category, even after the Nokia 8 Sirocco. However, it seems Nokia is looking to gain limelight in the segment by working on a new kind of smartphone and leaks on the Internet may have confirmed that to an extent. It was rumoured that Nokia would be bringing a flagship smartphone with five rear cameras. 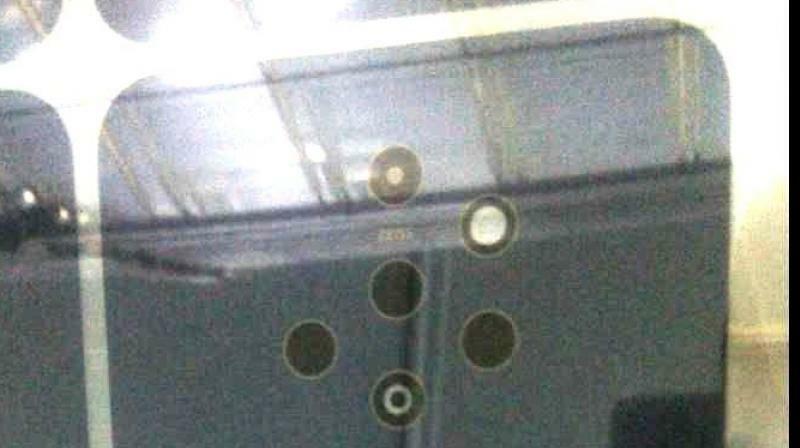 The leaked image hints towards that, showing a smartphone with five camera sensors with Zeiss lens and an LED flash. The rear panel seems to be made of glass, as is the norm with all modern flagship smartphones. The bottom of the phone also carries the Android One branding, suggesting a stock version of Android 9 Pie. It’s not yet known as to how the smartphone will utilise five camera sensors or what special tricks does it hide. Huawei’s P20 Pro with a triple camera setup combined a monochrome sensor and a telephoto sensor. 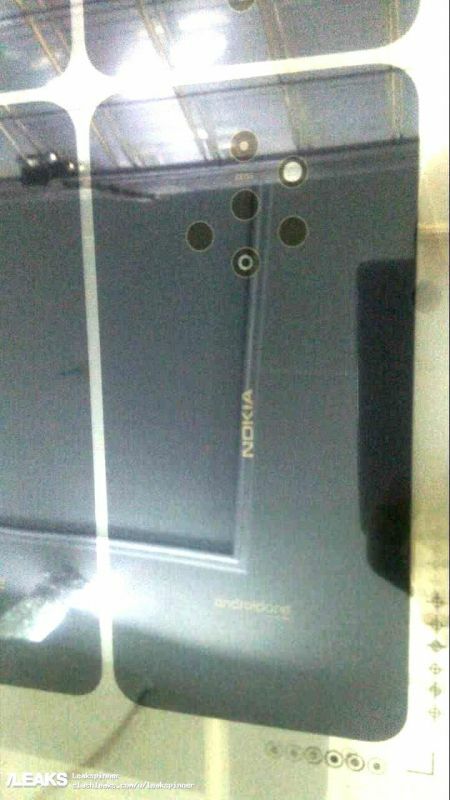 The five-camera setup on the Nokia will be surely consisting of the telephoto and monochrome, with the other two sensors possibly working either to help the main sensors or assist in 3D image shooting. We will have to wait and see.